Last June at the #XboxE3 Media Briefing, we announced our Xbox Game Preview pilot program, which allows Xbox gamers to download, evaluate, and provide feedback on upcoming Xbox One games that are still under active development. The program has been a great success so far, and we have some exciting details to share with you about all three (soon to be four!) of the games that we’ve featured in Xbox Game Preview so far. We’re proud to announce that, earlier this week, Elite: Dangerous became the first Xbox Game Preview title to graduate to an official, final release. This open-world – or, more accurately, open-universe – multiplayer space flight simulator, from Frontier Developments and director David Braben (the man behind the original Elite series) takes space exploration to a whole new level. You could spend a lifetime charting routes to new star systems, hunting nefarious space pirates, teaming up with other players online, or even carving out a niche as a black market trader. Elite: Dangerous is truly the biggest and most amazing game of its kind, and if you have any interest in the vast reaches of space, it’s a game that you should definitely check out. 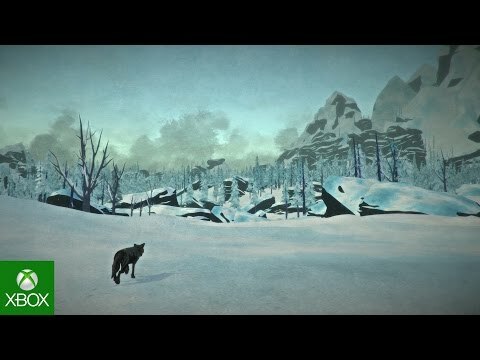 Hinterland Games’ open-world survival simulation The Long Dark is making excellent progress in the Xbox Game Preview program, and it’s just received a ton of new content. The latest game update, titled “Desolation Point,” introduces the titular coastal highway region, where you’ll explore the abandoned remnants of what appears to be a once-thriving whaling industry. The update also includes an overhauled weather transition system, the option to gather coal and other scrap material to forge metal items, support for saving up to five simultaneous Sandbox worlds, and a much more polished user interface. Check out the full rundown on the Desolation Point patch for more details! Developers Unicube and Team17 are also launching an all-new update for Sheltered, their fantastic survival/strategy game, where it’s your job to keep your family – and yourself – alive in the wake of a global apocalypse. Moving forward, the developers are aiming to release a new update every two weeks, day-and-date with the Windows PC version on Steam, featuring bug fixes and community-requested changes. Four major updates are currently being planned for Sheltered, each of which will include big, game-changing features. The Combat and Quests Pack is slated for mid-October, which features new quests and scenarios that bring Sheltered’s wasteland to life. And finally, we’ve got two brand-new Xbox Game Preview inductees to announce: First up is Bloober Team’s Layers of Fear, a psychedelic horror tale about a madness-afflicted painter who is on a mission to create his life’s masterpiece. You’ll learn this madman’s story by exploring his world and examining his handcrafted personal items, peeling back the many layers of fear and horror that entwine the strange protagonist. The developers are promising what press has called “the most intense horror experience since Silent Hill 2,” which is a high watermark indeed. Layers of Fear will launch via the Xbox Game Preview program later this month, but be sure to check out its terrifying trailer now! Second, Solus Project – co-developed and co-published by Teotl Studios and GRIP Digital – leverages the cutting-edge power of Unreal Engine 4 to tell the story of a lone researcher stranded on a very unfriendly alien planet. The rest of your team is dead, your equipment is destroyed, and you have to figure out how to survive long enough to call for help. And along the way, you might even discover the secrets of an ancient alien civilization. 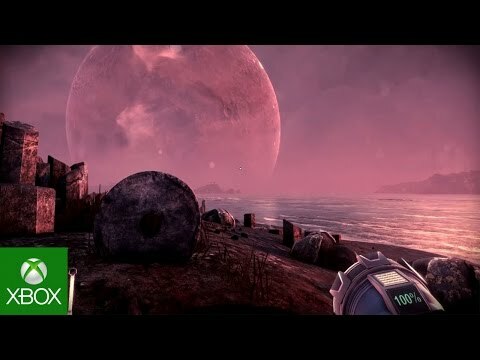 Solus Project hits Xbox Game Preview in early 2016. We’re proud of all the amazing games that have been part of the Xbox Game Preview program so far. We can’t wait to see what’s next as the program grows and evolves!